Failure isn’t necessarily a bad thing; also it’s sometimes hilarious! I’m usually pretty good with a jump rope, but in today’s Strength and Endurance session with Marie, I swear — all. I. did. was absolutely whip myself with the dang thing. I’d jump like five times, then SLAP! … another welt on my arm, leg, or both. Some days, you just ain’t got the rhythm. I can’t beat my personal best number of full-extension push-ups — which is a relatively low number: 6. I can do more than that in a session, but I seem to top out at 6 in a row, without a break. This irritates me like you would not believe. 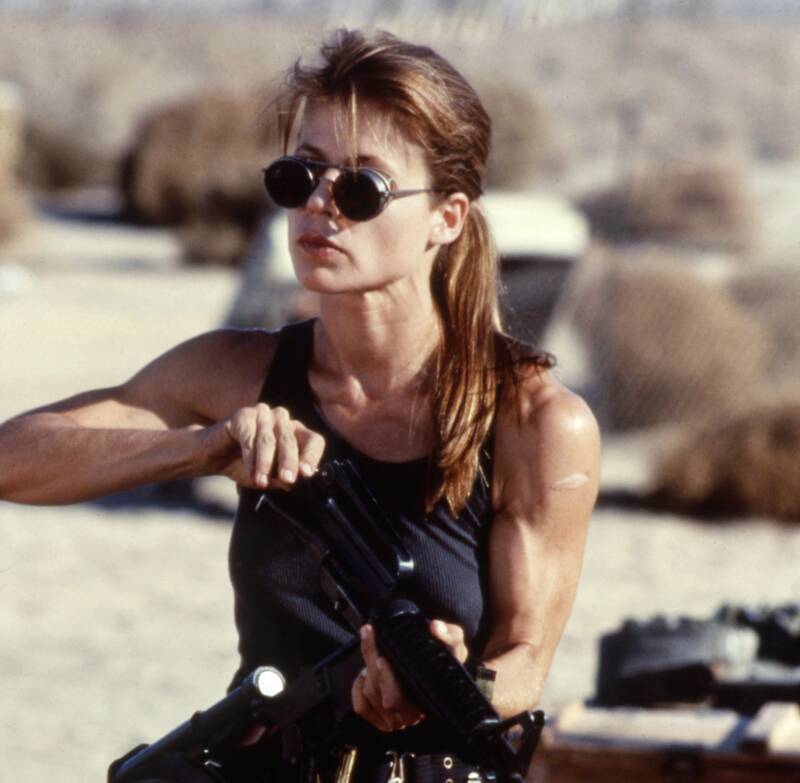 I’m trying to get Linda-Hamilton-in-T2 arms here, people! [sigh] OK, so, your turn — what can’t you do, or don’t do well? Don’t leave me hangin … (like I’m trying to do a chin-up, just dangling there uselessly …).